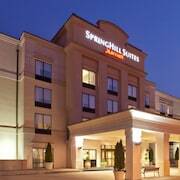 Situated in the historical district, this hotel is within 3 mi (5 km) of Tarrytown Music Hall, Sportime USA, and Greenburgh Public Library. Westchester Skating Academy and Pierson Park are also within 3 mi (5 km). 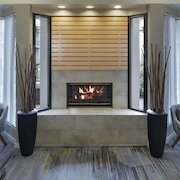 Situated in the historical district, this hotel is 1.8 mi (3 km) from Tappan Zee Bridge and 2.4 mi (3.9 km) from Kykuit. Manhattanville College and Purchase College are also within 12 mi (20 km). Situated in the suburbs, this hotel is within 3 mi (5 km) of Tarrytown Music Hall, Lyndhurst Mansion, and Pierson Park. Tappan Zee Bridge and Sportime USA are also within 3 mi (5 km). Situated in the historical district, this hotel is within 1 mi (2 km) of Lyndhurst Mansion and Irvington Town Hall Theater. Matthiessen Park and Tarrytown Music Hall are also within 3 mi (5 km). 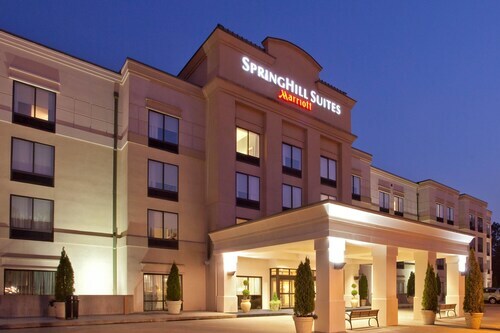 Situated in the suburbs, this spa hotel is within 2 mi (3 km) of Sportime USA, Greenburgh Public Library, and Westchester Skating Academy. Tarrytown Music Hall and Westchester Broadway Theatre are also within 3 mi (5 km). 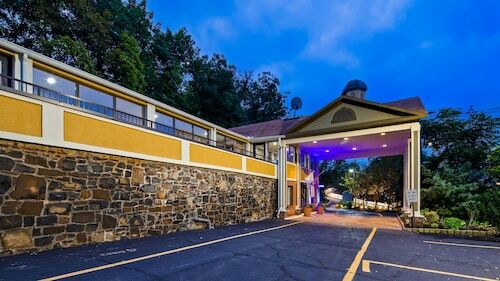 Situated in Tarrytown, this luxury hotel is 1.2 mi (1.9 km) from Tarrytown Music Hall and within 3 mi (5 km) of Pierson Park and Philipsburg Manor. Lyndhurst Mansion and Kykuit are also within 3 mi (5 km). Situated in the business district, this hotel is within 3 mi (5 km) of Tarrytown Music Hall, Lyndhurst Mansion, and Pierson Park. Kykuit and Sportime USA are also within 3 mi (5 km). How Much is a Hotel Room in Tarrytown? 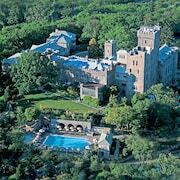 Hotels in Tarrytown start at $116 per night. Prices and availability subject to change. Additional terms may apply. 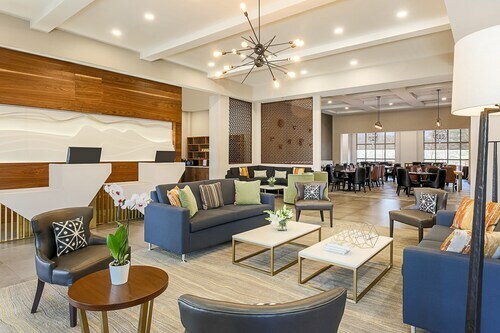 When you're on the lookout for lodgings in the Tarrytown area, you'll love the fact that there is a large range of suitable options on offer. If you're going to stay within 6 miles (10 kilometers) of Tarrytown's downtown region, our comprehensive database features 26 apartments and hotels in that area. 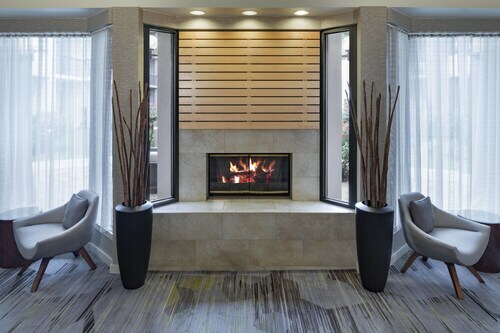 Wanting a hotel that can be reached on foot from the downtown area of Tarrytown? 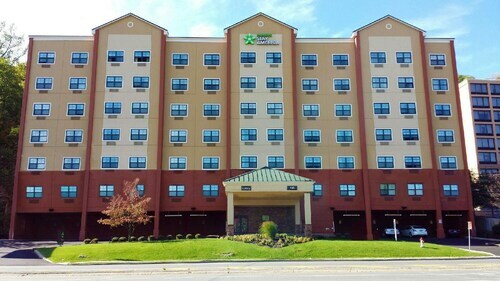 Courtyard by Marriott Tarrytown Greenburgh and SpringHill Suites by Marriott Tarrytown/Greenburgh will suit your needs. 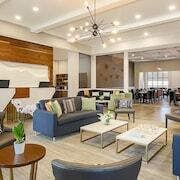 The Bedford Post Inn is 15 miles (24 kilometers) from the city center of Tarrytown. If you would prefer another option, the Homestead Inn - Thomas Henkelmann is positioned 12 miles (19 kilometers) away. Other possible accommodation options include the The Ritz-Carlton New York, Westchester and the Delamar Greenwich Harbor. Looking to travel a little out of the center? Hudson Valley is home to many attractions worth seeing. Check out Hudson Valley's historic bridges and you can also relish its rivers. Enlightened travelers in this region of United States of America can enjoy rock climbing and hiking. 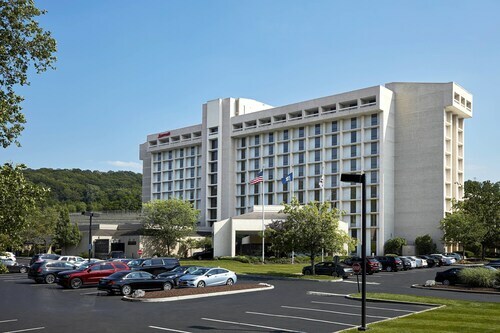 9 miles (15 kilometers) to the south of Tarrytown, you'll reach Yonkers, which is where you can explore Sarah Lawrence College and Empire City Casino. 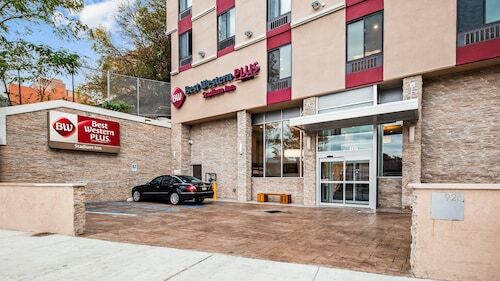 When you spend a few nights in Yonkers, check out the rooms at the Residence Inn Yonkers Westchester County and Hampton Inn & Suites Yonkers. 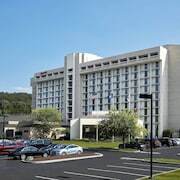 Alternatively, you could stay in Elmsford, 2 miles (4 kilometers) to the southeast of Tarrytown, where you can pick from the Tarrytown House Estate and DoubleTree by Hilton Tarrytown. The Westchester Broadway Theatre and Westchester Skating Academy are a couple of the more frequented sites to get to know when you're in Elmsford. Before your Tarrytown trip comes to an end, why not spend an hour or two enjoying thrills and spills in the company of spectators at an engaging match. Madison Square Garden can be found 25 miles (39 kilometers) to the south of Tarrytown. Find accommodation right in the thick of the sporting action at the The St. Regis New York or the Mandarin Oriental, New York. Now that you've explored hotels and apartments options in Tarrytown, make sure you look at our Tarrytown region page for local tips on cultural and scenic attractions around here. Hotel driveway is a one-way loop off a busy highway. But it was surprisingly quiet in the room. Convenient for NYC if you're driving, not so much (as far as I could determine) for metro/public transit. The front desk staff was amazing. So helpful and answering questions. Beautiful and clean. Had a comfy stay. Will be back.